I’ve Got Clients, Now What? Congratulations! You’ve finally taken that first step and have started your own small business. Now that the hard part is done, it’s time for the next hard part: actually making money and keeping your business afloat. It’s no secret that starting a business is risky, you’ve invested so much time, money, and energy into this. It’s also no secret that small businesses fail within the first 3 years if they aren’t managed correctly. So what now? You’ve done the cold-calling, the cold-emailing, you’ve gone to networking events and you’ve grabbed coffee with several leads and you’ve finally got a client. Then another, and then another! You’ve finally got a (kinda) steady stream of cash flowing in and you’re looking to grow. Don’t Devalue Your Company: Don’t Charge by the Hour! At first, charging your clients by the hour makes sense. You haven’t really figured out what’s too much or too little, so you’re going to charge them this much for the time you spend working for them. Except that by doing this you’re actually devaluing your company. Instead of your client looking at the quality of your work, they’re going to look at their watches. They want quality work at a low price and if they’re paying you by the hour they want that project done as soon as possible. Stop thinking of your services as an hourly employee working for a corporate company, and start realizing that they’re a product, and a valuable one at that. You wouldn’t buy a prime rib and think how fast you’d be able to eat it, you got it because you wanted a quality dinner to celebrate landing a new client. Do you get what I’m saying? 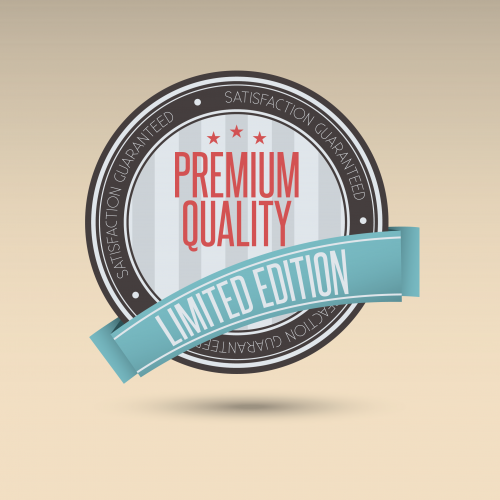 You need to start viewing your services as a prime rib and push quality over quantity. Your current business model with the hourly charge is like telling someone they can eat a prime rib, but they have to pay for each bite. They’ll constantly be wondering if this is actually worth the money they’re investing. To fix this, you’ll want to consider setting yourself at a fixed price, even if that fixed price would work out to be the same profit as your hourly wage. Yes, you’ll need to make sure you aren’t undercharging yourself. Make sure you review the job description and get a feel for how much time and effort you’ll need to put into this project. Obviously, you’ll want to make sure you’re charging enough that covers your time and also brings in revenue for your business. Sure, you’ll spend X amount of hours actually working on the project, but is that all you’re going to charge for? Think about other expenses and time spent on this project indirectly. Travel time, new software or tools, all of these are businesses expenses and need to be accounted for in your fee. If you’re offering multiple services, bundling them together is a way to increase your price and overall profits. By offering a fixed price package with multiple services available you’re able to say “Hey, look at all of this value I can bring to your company with this single cost.” With this your clients will start looking at the value of your solutions, and not the time it took for you to deliver the solution. I know pricing is tricky, heck, I was in your shoes once too. Once you begin building up your client list, you’ll be able to gradually increase your pricing. Whether it’s an increase in price due to larger packages or an increase in pricing thanks to our good friends Supply and Demand. Once you’re able to show hard numbers from previous results is when your business will begin to really start growing. Not sure where to start? Download our free 6 Figure Growth Strategies Playbook below to find out how to determine your new fixed pricing services and tips to make sure you’re not undervaluing what you have to offer.